BUILDING more houses in Kedah will add to the state’s housing problem, especially if they are going to be priced at RM400,000 and above. The overall property market in Kedah has not been performing well. Like other states, it has suffered a downturn, said Fahariah Abdul Wahab, research director at Henry Butcher Malaysia Solutions Sdn Bhd. “Property developers are not putting too many of the million-ringgit homes into the market as the absorption rate is very low and slow. 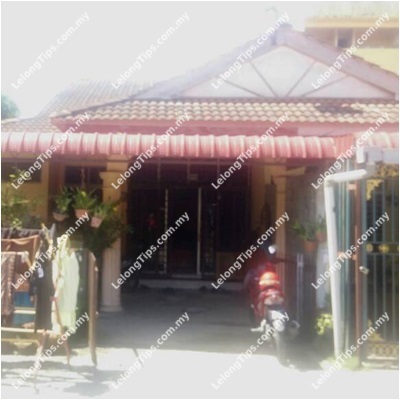 Kedah offers value for money in terms of residential properties for owner occupation. 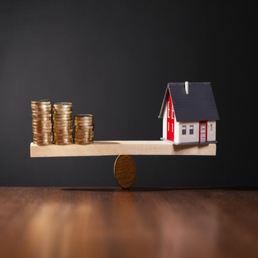 Generally, the market is geared towards more affordable homes. High-end properties do sell as well but the market is small compared to other cities,” she told NST Property. Kedah experienced the first overhang status in history with 4,363 units of unsold stocks recorded last year, with most of them (3,401 units) located in the Kuala Muda District (covering Sungai Petani, Tikam Batu, Padang Tembusu, Sungai Lalang, Bedong,Bukit Selambau,Sidam, Gurun, Semeling, Merbok, Kota Kuala Muda and Tanjung Dawai). Majority of the unsold units were landed houses priced between RM300,000 and RM400,000. “In the last three years, the residential property market has seen lower numbers of transactions, and total values of residential transactions have also decreased. 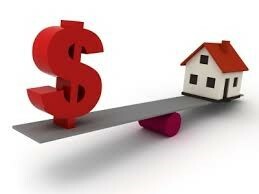 The residential market is very price-sensitive as well as highly competitive. In fact the market is seeing more developments offering incentives like rebates, free fees and free gifts in order to increase sales,” said Fahariah. Based on National Property Information Centre (Napic) reports, in 2015 there were 30,711 units of properties transacted valued at RM5.6 billion, of which residential transactions accounted for 58 per cent of total volume of transactions. In terms of total value, residential transactions accounted for 54 per cent of total value of transactions for the whole state. Napic numbers in 2016 showed that total property transactions by volume went down to 29,550 units (-3.8 per cent transaction). The total value of transactions was RM5.3billion, or a -4 per cent over the previous year. “Looking at the Napic data, it can be seen that the residential transactions is by far the most active sector of the property market compared with commercial and industrial. Most popular are the single-storey semi-detached houses, which generally register the highest volume of transactions, followed by single-storey terrace houses, two-storey terrace houses and then two-storey semi-detached houses. This trend was prevalent in 2015 and 2016,” said Fahariah. Surprisingly, although Kedah borders Thailand, there are hardly any Thai nationalities who buy in the state. She said there is no compelling reason for Thai nationals to own a property in Kedah unless they are living or working in the state, or are married to Malaysians from Kedah. Fahariah said for property development in Kedah, the most active area for residential and townships would still be Sungai Petani, which has the most numbers of new launches and projects under construction. Other popular areas for development in Kedah are Kuala Ketil (located between Sungai Petani and Kulim), Jitra (fourth-largest town in Kedah) and Kulim (home to Kulim Hi-Tech Park). There are a number of developers in Kedah and one of the biggest is BDB Land, developer of Bandar Darul Aman in Jitra, DarulamanPerdana in Sungai Petani and Darulaman Utama in Kuala Ketil. Other developers include EUPE (which is developing Cinta Sayang Resort, Astana Parkhomes, Puncak Surya and SriIora), OIB (TamanPermaipura, SP Saujana, Taman Peruda), Chinhin (Taman Belimbing, Taman Desa Murni), OSK Properties (Bandar Puteri Jaya, Roseville, Fairfield Villas Yarra Park), and Plenitude Heights (Bintang Maya). Fahariah said the residential products in Kedah are comparable in terms of design, facade, facilities and finishes but price-wise, they are much lower than in key locations like Penang Island, Kuala Lumpur and Johor Baru. 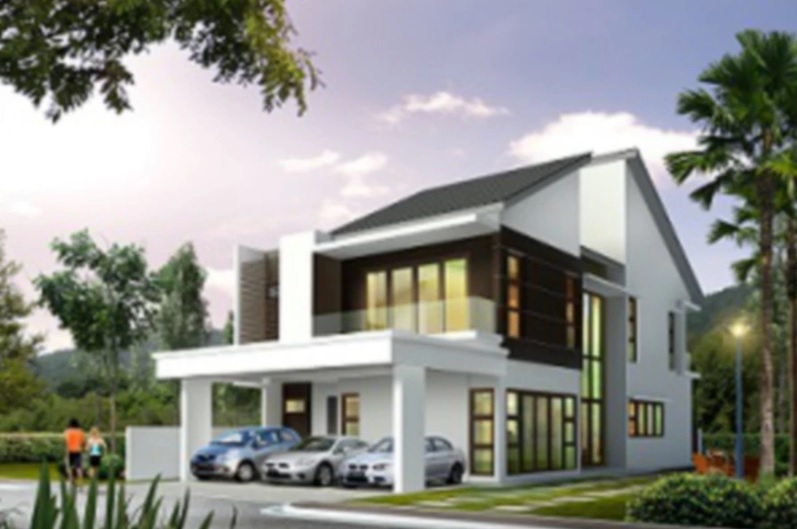 “Majority of residential purchasers in Kedah are locals. There are some property buyers from Penang as well as those who are from Kedah but currently employed out of state,” she said. Fahariah said the residential market in Kedah is competitive now for many developers, with too many of them chasing after the same pie. She advised new developers wanting to enter the market to study the supply-demand situation in the state. 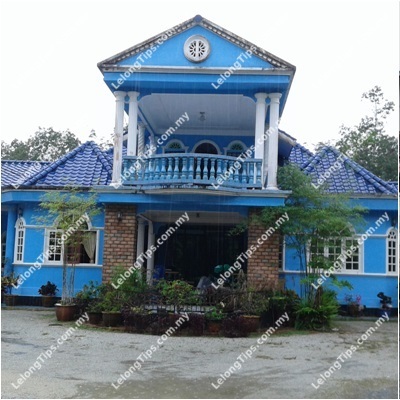 “The property market is quite small in Kedah. I believe the reason why developers are interested in the state is probably because of the lower entry cost compared to more developed states,” she added. Paramount Property (Utara) Sdn Bhd is one of the earliest developers in Sungai Petani. It launched its flagship project, Taman Patani Jaya, way back in the early 1980s. The company has completed the 70ha project with a total of 1600 units (with gross development value exceeding RM200 million). After establishing a reputation for quality and reliability in the northern region, Paramount increased its landbank in the area, acquiring 202ha inNovember 1994. This led to the launch of Bandar Laguna Merbok—aluxury riverside residential township — in 1996. 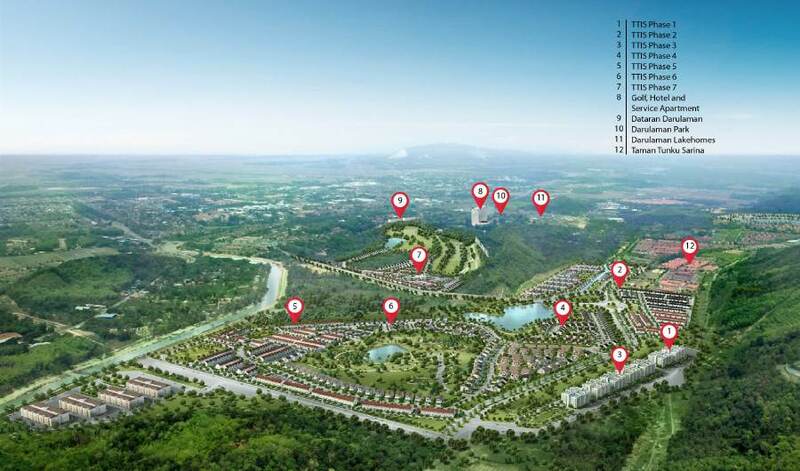 The 200haBandar Laguna Merbok development is Kedah’s first gated-and-guarded township. 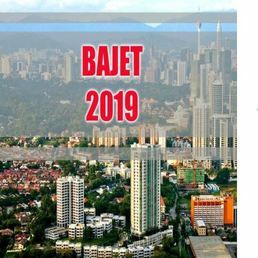 The whole township is said to have about 4,300 residential units (comprising double-storey and two-and-a-half-storey terraced units, double-storey semi-detached units and bungalows) and around 210 commercial properties worth almost RM1 billion. The final phase of Bandar Laguna Merbok was Casa Villa featuring zero lot bungalows. 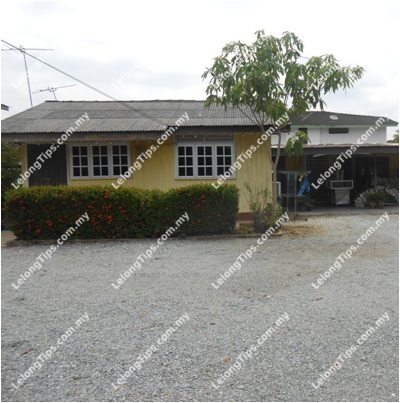 Situated on spacious lots of 40ft x 90ft or 40ft x 100ft, they were priced from RM719,900. Today, the units are selling from RM900,000. 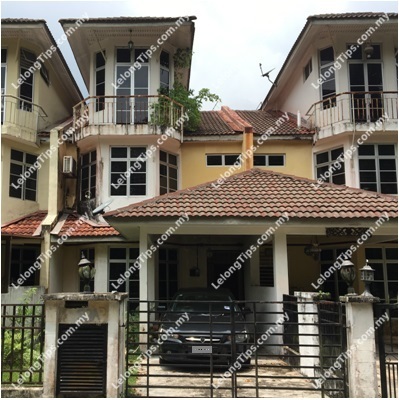 In December 2006, Paramount added 210ha land in Sungai Petani and by 2012 it launched the town’s only gated-and-guarded hilltop development, Bukit Banyan, consisting of bungalows, link villas, semi-detached homes, terraces and townhouses. It has launched several phases — Eugenia 3A (from RM559,900), Emilia (from RM479,900), Amaryn (from RM369,900) and Citra Elite (from RM200,000)—and they will be handed over to buyers starting early next year. Paramount Property has also launched Banyan Square, comprising two-storey shop offices priced from RM459,934 and they will be completed in the next two years. Kedah’s major economic generators are in services, manufacturing and agriculture sectors. The state has announced a number of projects in an effort to uplift its economy and create new jobs. Among them are the Kedah Science and Technology Park (KSTP), anda769ha park in Bukit Kayu Hitam Industrial Area which is focusing on green technology, component research and development and manufacturing, ICT, advanced materials, agro science and bio technology. KSTP will have multiple components to attract investors and businesses, such as commercial areas, higher learning and training centres, educational institutions and open spaces. The whole development is expected to create 23,244 jobs for the locals. Another development is the 505ha Kedah Rubber City (KRC) located close to the Malaysia-Thai border in Padang Terap which is expected to spur demand. The KRC will focus on rubber manufacturing, specialised latex, precision engineered and green rubber products, creating 14,471 jobs and business opportunities. Job creation would give opportunity to first-time buyers the ability to purchase a house or for existing owners to upgrade. “Looking at the economy of Kedah, it has among the lowest household income but this needs to be compared with lower cost of living, more affordable homes andless-densed environment,” said Fahariah.